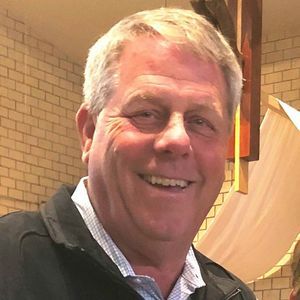 Stan Junod, 66, of Ankeny passed away April 4, 2019. Mass of Christian Burial will be 10:00 a.m., Monday, April 8, 2019 at Our Lady's Immaculate Heart Church (510 E 1st St, Ankeny). A visitation will be held 4 to 6:00 p.m., Sunday, April 7th, also at the church. Born to Robert and Helen Junod, he grew up in Sioux City, Iowa, and graduated from East High School in Sioux City. He went on to attend Iowa State University where he earned a degree in Civil Engineering, and was a member of Sigma Alpha Epsilon fraternity. He married Patricia Samson of Ida Grove, Iowa on September 5, 1975, and together had 3 daughters. After a career in Civil Engineering in the Agricultural Industry, Stan retired in December 2017 from Prairie Engineering. Stan enjoyed spending time with family, golfing, hunting, fishing, playing cards, and watching sports. He was an avid Cyclone fan, had a great sense of humor, and will be remembered for his "one-liners." He is survived by his wife of 43 years, Patricia (Samson); 3 daughters, Michelle Junod and her partner Sherry Keating of Mountain View, CA, Laura (Junod) Fremming and her husband Brad Fremming of Omaha, NE and Erica (Junod) Evans and her husband Nelson Evans of Grimes, IA; three granddaughters Makayla and Adelynn Fremming and Ella Evans; brother Steve Junod of Ankeny, IA; sister Suzie Martz & husband Brian Martz of Johnston, IA; brother Scott Junod (Rose Lombardi) of Indiana, PA, and many nieces, nephews, and friends. I was blessed to get to know Stan and Pat, and I knew immediately Stan had equal parts of love and respect of life and those that lived it. He made the most of his day and he did so with a smile and a positive outlook. My heart is incredibly heavy with his passing and the loss that Pat and their family are feeling. Please know all of you are in my daily thoughts, prayers in your hours, days and time ahead. I only worked with Stan a short while and learned immediately that he is a man of integrity. My fellow co-workers spoke highly of Stan and I was looking forward to getting to know him better. People like him are always a delight to be around, be it work or pleasure. My sincerest and most heartfelt condolences to Stan's family and his close friends. I am so very saddened to see this notice. I waited on Stan and Pat many many years at Benchwarmers in Ankeny, they were always so pleasant and fun. Such great supporters of the Ankeny School system athletics with their daughters. We have lost a good one. Prayers and love from Chicago to the Junod family. Peace to you, youre all in our hearts. I was very saddened to hear of Stan's passing. I worked with Stan in engineering in years past and considered him a good friend. His humor and wit will be greatly missed. My thoughts and prayers go out to the family. Stan, was great guy. He loved his wife, loved his family, and loved golf, if ya played fast! Stan was a really good player, he'd racked up numerous hole-in-ones. He'd play anywhere with anybody. Sad deal, he was taken too early. He will be missed. We so enjoyed Stan and Pat as our neighbors on SE 10th St when all of our kids were growing up.